The continued rise of Scottish award winning techno Dj/Producer Stevie Wilson is growing in epic proportion. Since he started producing techno music only in May 2011 his tracks have been well received in the techno community and gaining massive support from Dj’s all over the world & not only that he has now WON the award for best Scottish Techno Producer 2012 at the Scottish Electronic Music Maker Awards (EMMAS) and this has now firmly made his name stand out amongst the others in the techno scene and show them all that he means business. He has caught the eye of the Massive techno label Italo Business and released his 14 track debut album Technaphobiq with them & In this short space of time producing techno music he has also released tracks on Naked Lunch, Re-Washed Ltd, Shout Records, Parallel 125, Freitag Limited, Re Logical Records, Herzschlag Recordings, Plastiq Records, Clutch Trax, Fixate Records, Alien Force Digital, Tekz Records & Bunk3r R3cords. He’s also done many different remixes for the likes of Loso, Oleg Mass & Alex Okrazo, Sobar & Gorziza, Gene Karz, Macgregor, A.Hvich, Kem Dust, Ninna V, The Sublime, Onassis, D.O.O.M, Emir Hazir, Tactic Tech and many more. Stevie’s passion for music started at a very early age. From the days of school buying and swapping music with friends it was clear to him then that he had to take the next step and get his first set of decks. 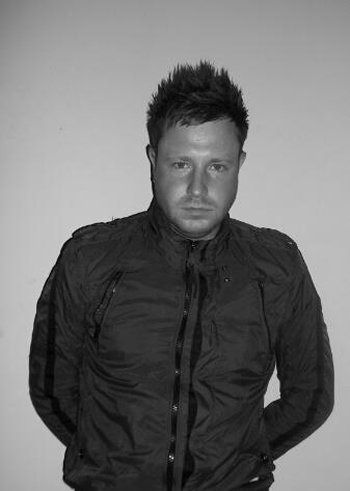 Since then stevie has never looked back and is always pushing the boundaries with his musical and technical abilities when he is performing in clubs and this also shines through with his production and he is now creating his own sound which is being recognised within the techno scene and this has led to him amounting a massive following for his gigs and also his production work. Nowadays his influences are people like Virgil Enzinger, A.Paul, The Advent & Industrialyzer, Dave Clarke, Eddie Halliwell, Chris Liebing, Monoloc, Pfirter, Alan Fitzpatrick, Gary Beck and loads more.